Saint Thomas, whose feast day we celebrate today, is most often remembered for being a man who doubted. Today’s Gospel highlights “doubting Thomas” and his skepticism in seeing the risen Christ. After Christ’s journey on the road to Emmaus, He appears to the disciples in Luke 24:36. They are completely stunned, and Jesus asks them, “Why do doubts arise in your hearts?” He then invites them all to touch Him to believe that it is truly Him. It is important to note that Thomas was not present in this initial encounter with Jesus. He was not the only one who doubted. In these post-Resurrection moments of doubt, Jesus does not rebuke His disciples for their confusion and questioning. He understands that His Resurrection from the dead is incredibly difficult for the human mind to grasp. So He invites them all to the same action. He invites them all to reach out and touch Him. Today, on this beautiful feast day, Saint Thomas’ life offers good news for the skeptics, the questioners, and the ones who are searching. If you are like me and you’ve ever found yourself in one of those categories, we are in good company. We are in the company of martyrs like Thomas . 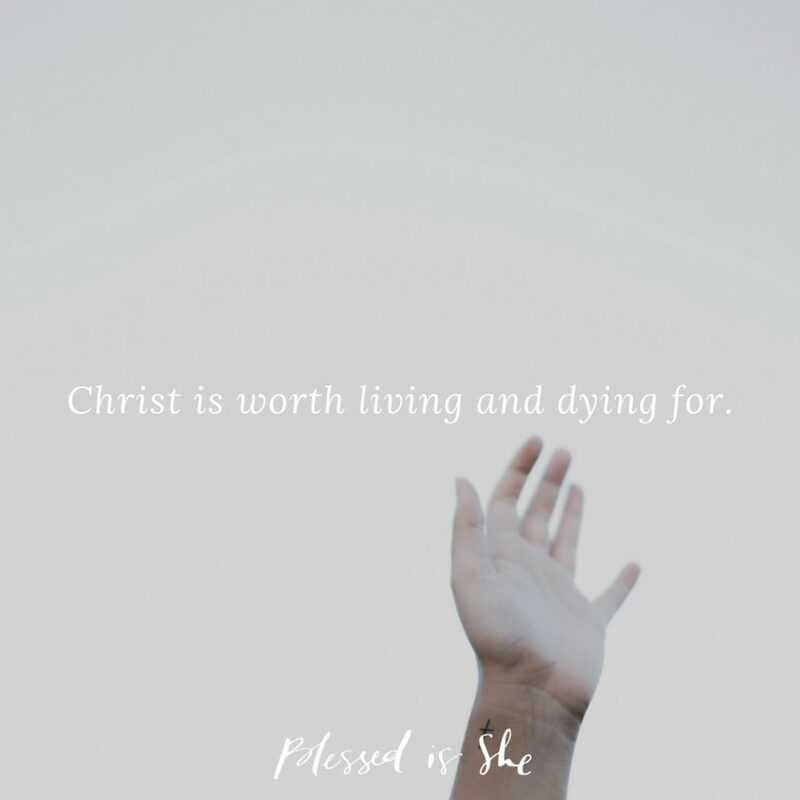 . . people who wrestled, who struggled, and who ultimately, in continually seeking the heart of the Father, came to believe that Christ was worth living and dying for. He may be remembered as “doubting Thomas,” but who he came to be is Saint Thomas, the Martyr, who shed his blood for his belief in the resurrected King. Pray for us, Saint Thomas, that in our moments or seasons of doubt we may continually reach out to encounter the heart of the living God.